Credit Karma announced it has received $175 million in a Series D funding round with participation from Tiger Global Management, Valinor Management and Viking Global Investors LP. The funding will drive major platform additions to help consumers establish their online financial identities on Credit Karma, making it easier, faster and more effective to manage their personal finances. Investors have made $368.5 million in total equity investment to date. In its next chapter, Credit Karma will continue to find new ways to leverage its data for the benefit of consumers and deliver tools and information to help them achieve their financial goals. Credit Karma will continue to be the leader in helping consumers understand their finances. The new platform will do even more – from consolidating student loans with just a few clicks, to helping compare customized insurance quotes, to showing members the best credit card for their spending habits and credit profiles, to helping them to finance their first car. Credit Karma will not only save people time but also help them take control of their personal finances. The company is building technology that aims to transform personal finance by helping people to better understand their options and empower them with the information and tools needed to make the best financial decisions for their future. 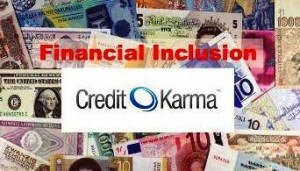 Credit Karma is recreating the financial industry around people. With over 40 million members, Credit Karma is on its way to becoming the place online where people in the U.S. manage their financial identities. The company started by providing free credit scores to members, and has grown into an essential platform to help Americans reach their financial goals. Credit Karma provides its members with free financial information monitoring, data-driven resources and personalized recommendations.